The Swedish Institute’s nine-week archaeological course is now in its seventh week. 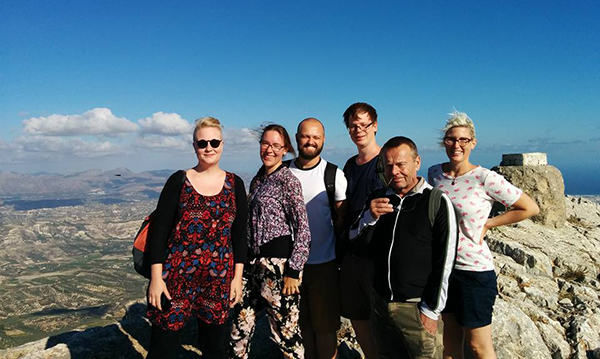 Five students: Madelene Holm from Gothenburg University, Sara Eriksson and Christian Stelius from Lund University, and Adam Norberg and Angelica Landgren from Stockholm University are right now in Thessaloniki together with their teachers having been earlier to the Argolid, Delfi, Crete and Santorini among other places. The rationale of the course is to give the students an opportunity to see as many archaeological sites and museums as possible.